The place is tiny: no more than 8 tables. The menu is small and simple: no more than 5 main courses to choose from. The location is not ideal: all the way in the South neighbourhood of Amsterdam. And on top of all this: the place doesn’t even have it’s own website. 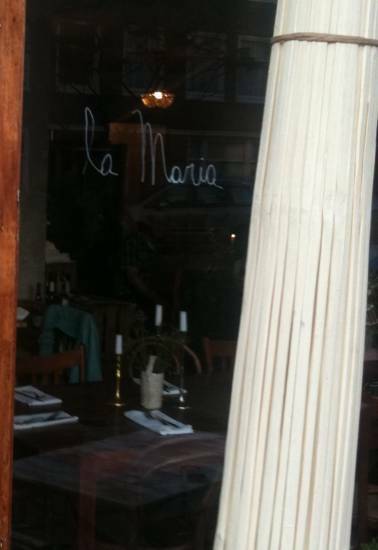 But all of the above is inconsiderable once you’ve had your first dinner at La Maria. The Southern European (mostly Italian) food is fresh and amazing. Everything is prepared with fresh ingredients. Don’t believe it? See for yourself. 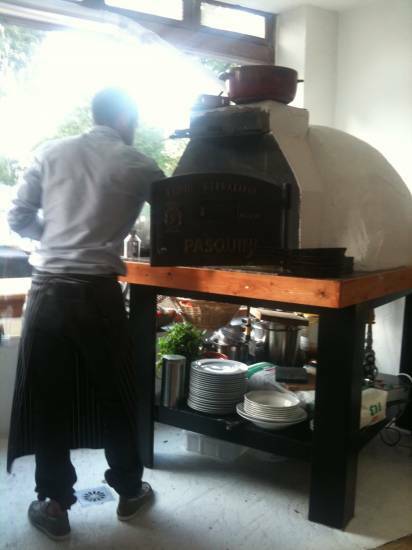 The food is cooked and prepared in the open kitchen, with the brick kiln right in the corner of the restaurant. You can watch the chef’s every move. It’s like eating in the owners’ kitchen. Food prepared with love, that’s what you get at La Maria. The wine menu is very good as well. You can even order any wine on the menu by the glass. Ready to go? The address is Vechtstraat 79 in Amsterdam. Imagine your waitress, after she just poured you a glass of wine, suddenly grabbing the microphone and filling the entire restaurant with her beautiful voice. 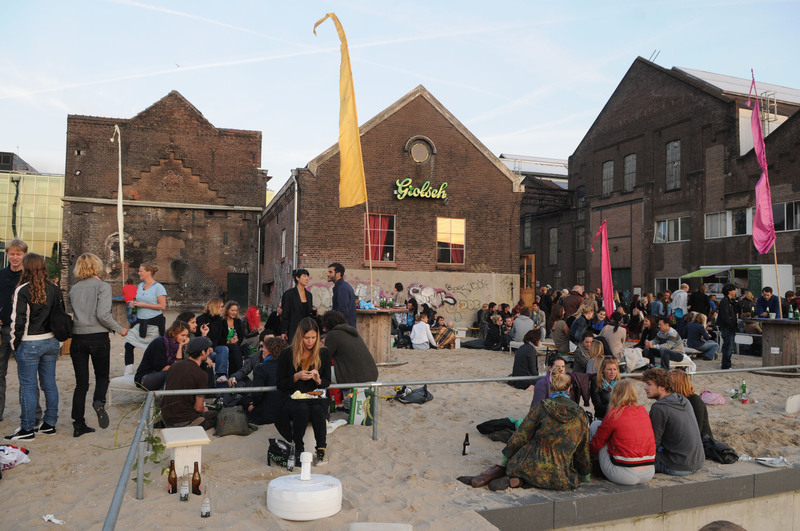 This is just a regular night at Amsterdam’s entertainment hotspot Pasta e Basta. Located in a cosy, candle-lit basement, this Italian restaurant is all about its singers and its high amusement factor. The place is known to be a breeding ground for new talent and especially the arias performed a capella style are truly breathtaking. The restaurant’s name loosely translates into “Pasta and that’s it!”. After enjoying their delicious antipasti buffet served out of a grand piano, pasta is exactly what you’re getting. The simple and unpretentious dishes are prepared with fresh ingredients. Pasta e Basta’s owner, who possesses a strong passion for both music and Italy, proudly walks around the restaurant on most nights to greet customers like close friends. After being awarded honorary citizenship for organizing the city’s famous Prinsengrachtconcert (annual open air classical music concert), he is somewhat of a local hero. Book well in advance and bring a group of friends to enjoy the show. 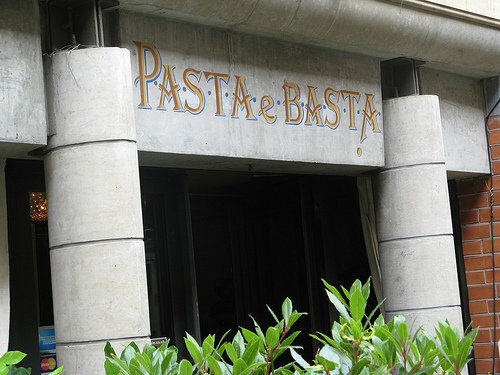 Don’t let the touristy vibe hold you back – there is a reason why Pasta e Basta is mentioned in most guidebooks! 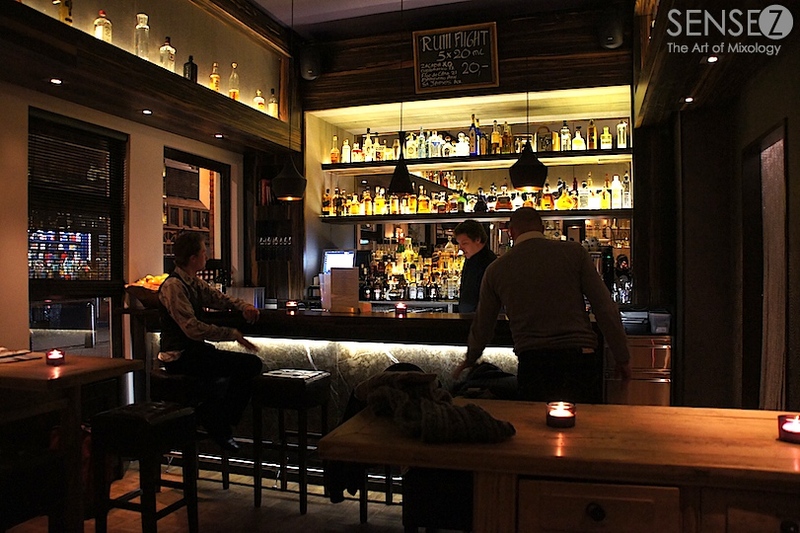 For all the fans of small, busy, popular places, Bar Moustache is where to go. 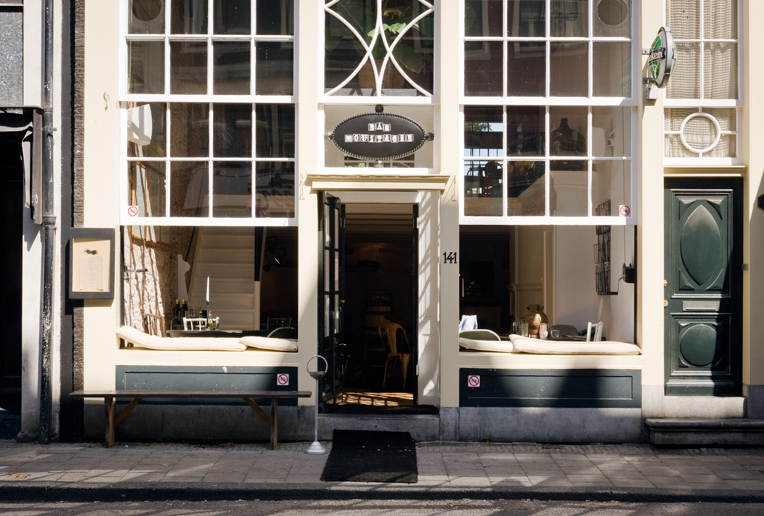 This place recently opened in one of Amsterdam’s nicest streets: Utrechtsestraat. This is where the fashionable Amsterdam crowd comes to get their Italian meals and wines. Former travel- and lifestyle editor Stella Willing helped decorating the place. She has really put her creative mark on the interior of the restaurant. She did a wonderful job on such a tiny place. The brick walls and various chairs really carry out the cosy atmosphere of old Amsterdam manor houses. But don’t just go here to behold the amazing interior: the food’s great too. The lamb loin is highly recommended! 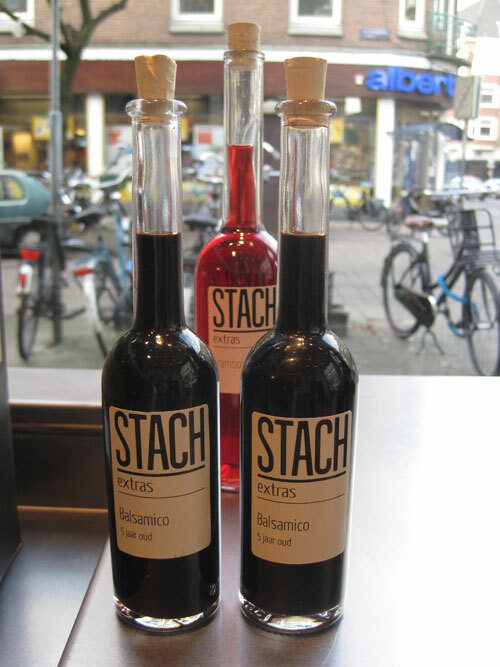 Have a nice glass of red wine with this and you will come crawling back to the Utrechtsestraat very soon! 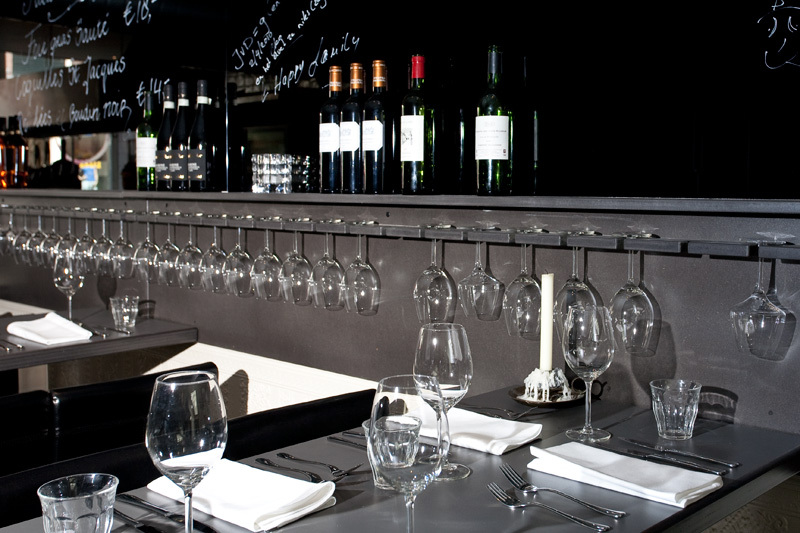 ‘Life is too short to drink bad wines’ is Bistrot Neuf‘s slogan. We like it already! It’s not a cafe. It’s not a restaurant. It’s something exactly in between: a bistro. The idea is to have honest, recognizable food in an uncomplicated environment with wine as the bases. 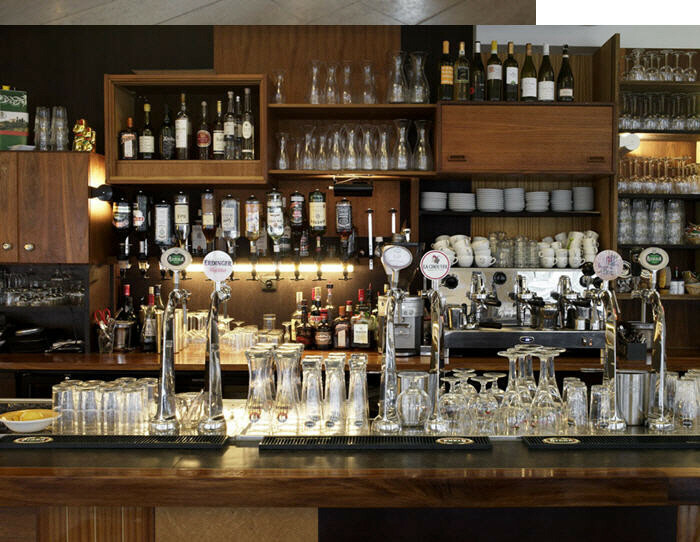 The attractive Haarlemmerstraat area, with all its restaurants and nightlife, became even more attractive the minute Neuf opened its doors. Great food, intimate atmosphere and a wine menu that’s adjusted to the season. Nice! 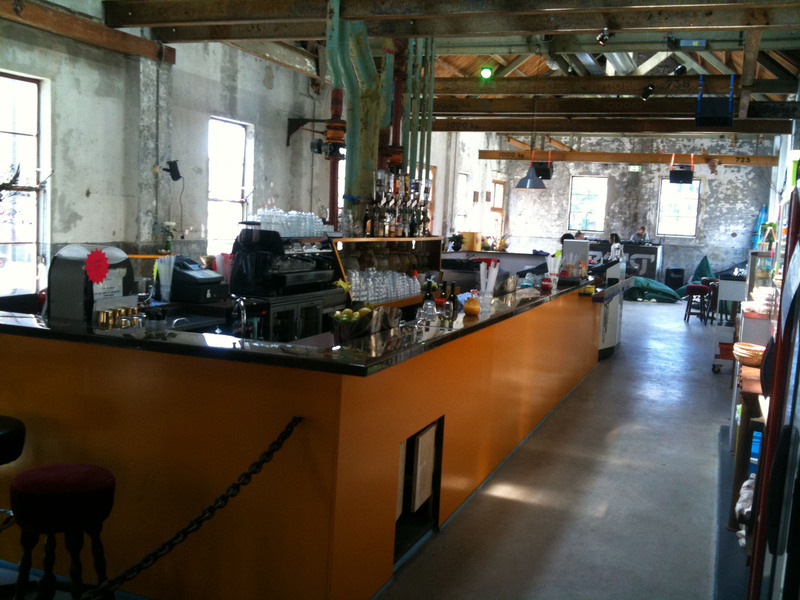 The Comfort Caffe started out as a ‘multipurpose’ hang out in the charming Eastside of Amsterdam. Grabbing a croissant in the morning, a fabulous panini in the afternoon or a nice pasta in the evening. They got it all. But because of the diner being SO tasteful and great, the closing time of 9pm had to be extended. By that time the restaurant is still full of connoisseurs enjoying the last bites of their pasta or pricking their torta del giorno. For a very nice price you can enjoy a very good Italian meal, including lovely Italian wine and very enticing espresso to top it off. 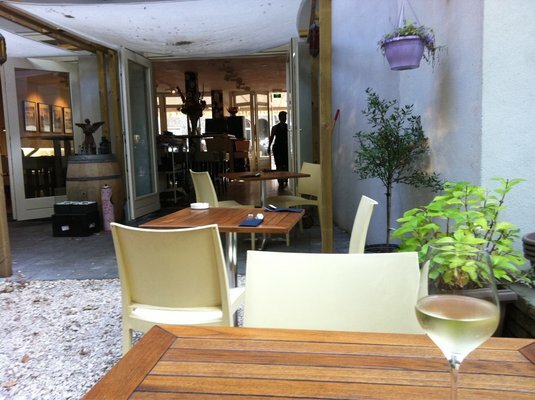 On sunny summer days they have a lovely terrace outside at the back of the restaurant. It has a lovely ‘oase in the city’-feeling. 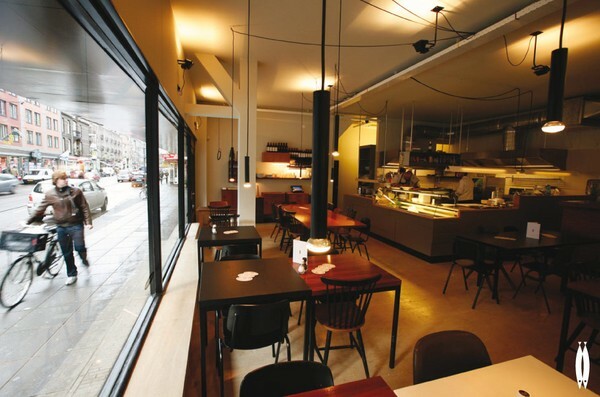 The Comfort Caffe really lives up to the promise made by it’s alluring name. A special name for a special restaurant. 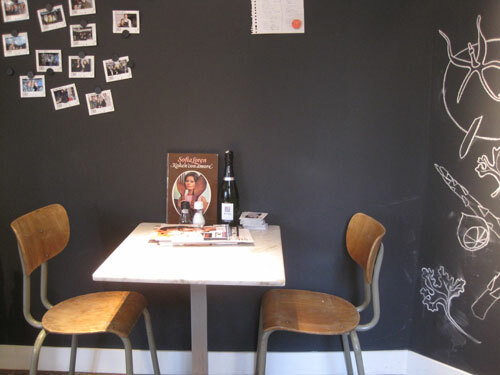 Since 2010 Amsterdam’s neighbourhood De Pijp has been enriched with this fantastic, not merely Italian restaurant. 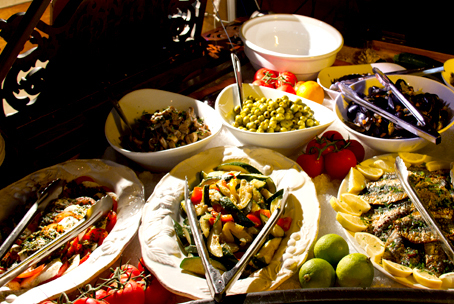 Aside from great pasta dishes and other local Italian food Pekelhaaring also serves French fish soup or caesar salad. They hate to call themselves an Italian restaurant, because they don’t want to adhere a stiff, inflexible concept, and just want to serve good food. Hey, who cares what you call yourselves? The food is magnificent! For the Pekelhaaring cooks substance is more important than form and presentation. 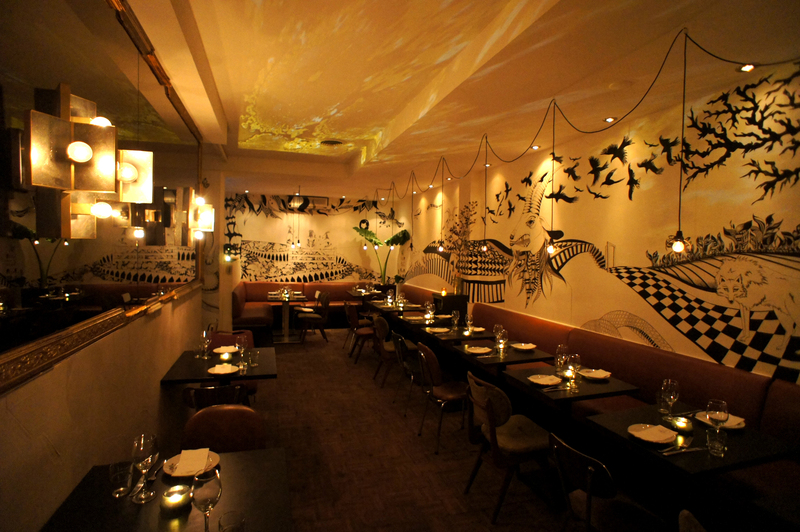 So you won’t find fabulously decorated and garnished plates, but just simple, good food, in a wide open, cosy interior. 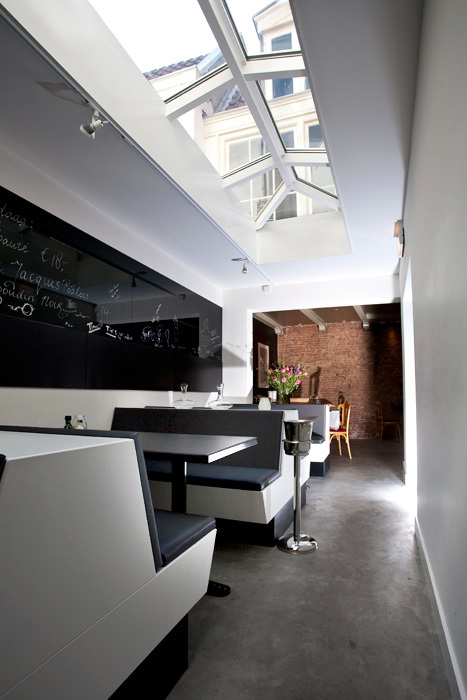 The entire space is surrounded by big, wide windows which gives the restaurant a great, very international atmosphere. Good to know: during lunch hours they serve very tasty sandwiches for a very good price!